Whether or not its okay to text in movie theaters is currently a matter of debate. That is, unless you are seeing a movie at one of the theaters in the Alamo Drafthouse chain. There it is strictly prohibited. Not only will texting get you kicked out, it can make you the subject of wide-spread public derision. But in case being shamed online isn't enough to get you to put your damn phone away for 90 minutes to two hours, Alamo has stepped up their anti-texting antics with some help from the virtual personal assistant Siri. 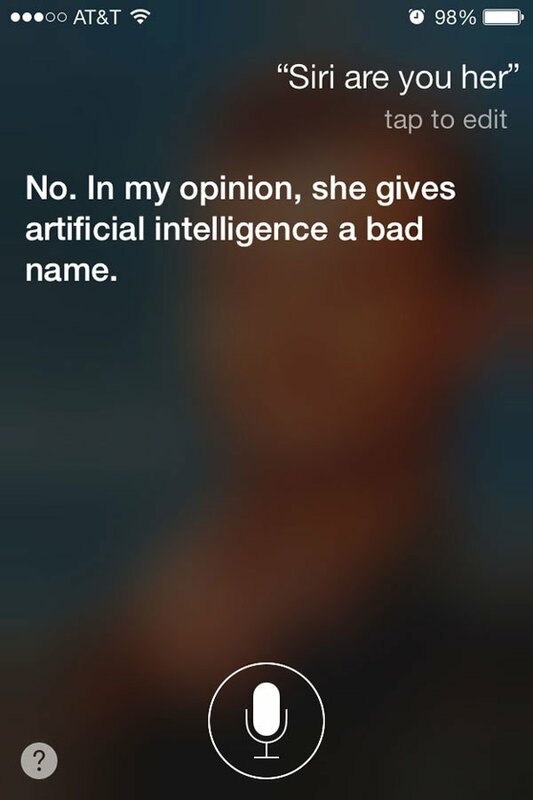 I can't decide if this running theme of Siri becoming self-aware is increasingly hilarious or increasingly disconcerting. Maybe both? 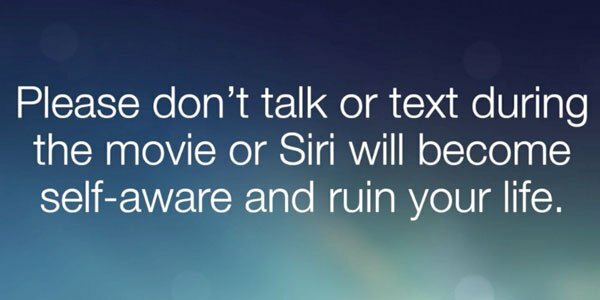 Funny enough, Alamo is promoting this Siri-centric PSA along with news that Spike Jonze's Her will be the next title to screen in their Drafthouse Recommends series. The heralded theater chain carefully picks its recommendations looking for works its runners feel are "groundbreaking, innovative, and provocative films that push the boundaries of genre, represent enigmatic subjects or highlight emerging new talent."